Excellent short film made by Gerry Jenkinson. This is NOT a Godet commerciale, but a film made by passionates of Vincent for the passionates of Vincent. In less than 5 minutes, it tells the story of Patrick Godet’s 30-years-quest to bring the Grey Flash at the level of the best racing cammies, where it was never close to be in 1950 because of lack of factory funding. Patrick re-invested significant profit of his business in this program, and this second attendance at the 2015 IOM is warmly applauded and encouraged by all of us. 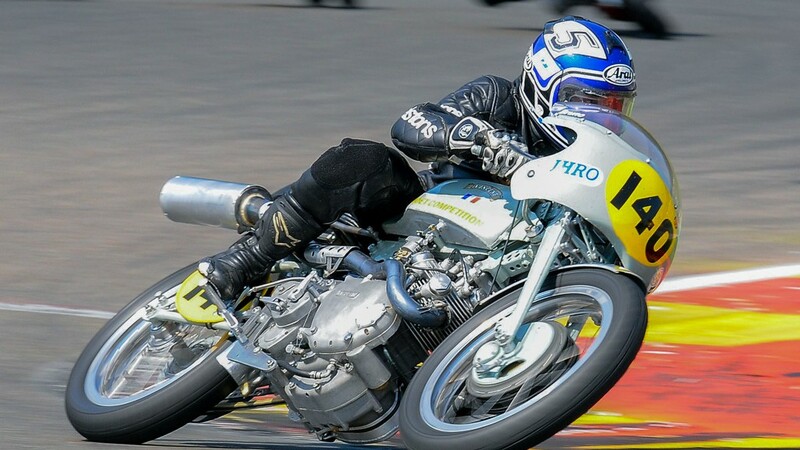 Bruno Leroy at Spa-Francorchamps, July 3-5 2015 on the new Vincent Grey Flash. Source image IHR) by Monkeyplanet.